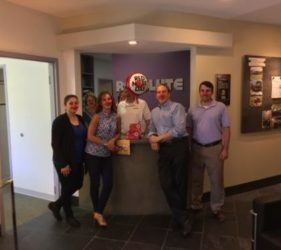 Resolute is pleased to announce that Ryan Plankenhorn joined our team on 5/30/17. 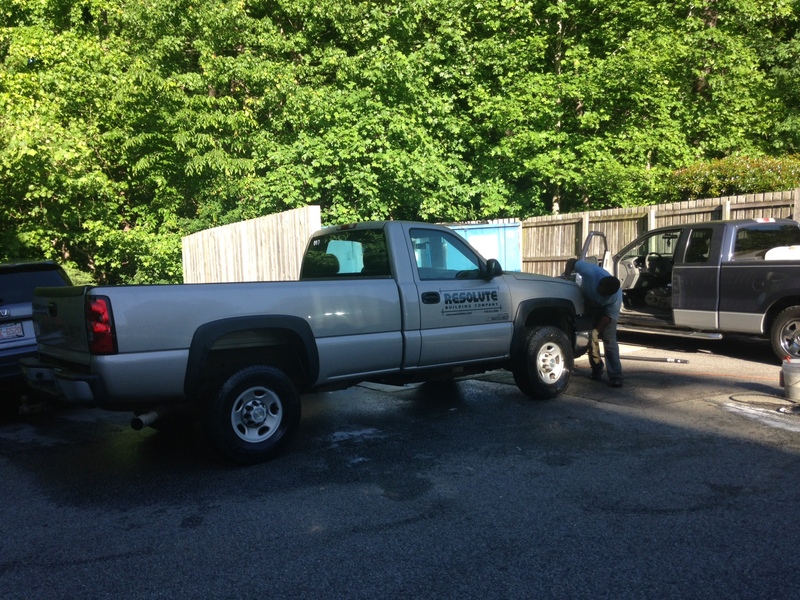 Ryan will take over the responsibilities as Chief Estimator for our company. Welcome, Ryan, to the Resolute team, and Building Better! 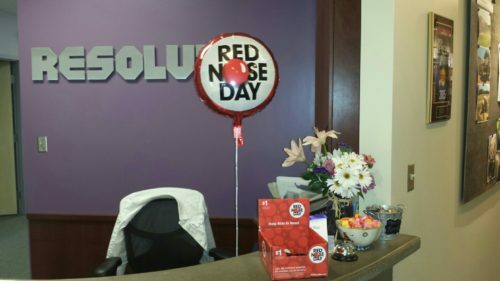 Although the summer solstice of 2017 falls on Wednesday, June 21, at 12:24 A.M. EDT, on behalf of the Executive Focus Group, Resolute is pleased to announce that our summer office schedule officially starts today. Commencing today, and on each Friday from the Memorial Weekend thru the Labor Day Weekend, the office will close at 3 p.m. Our jobsites may coordinate for supervision so they may take advantage as much as possible without affecting project schedules. 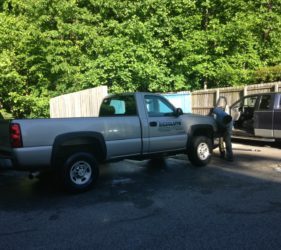 Looking forward to a sunny and productive summer, and Building Better! 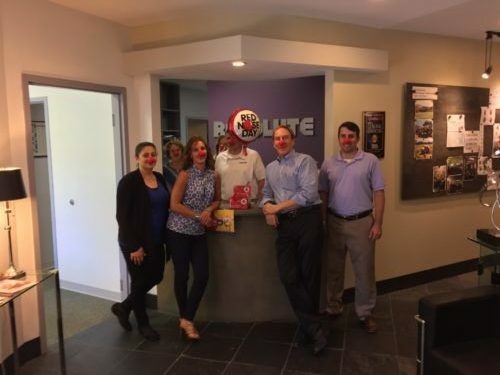 Resolute supported RED NOSE day today, for our 2nd year in a row to raise money to support child poverty throughout the United States and in select countries throughout the world. Resolute Building Company was awarded the contract for the NCSU College of Veterinary Medicine Atrium Lighting Upgrades which bid in March. Resolute is pleased to announce that we are going into our 2nd year of having an Internship Program and will have 2 college students join our team for this summer. Justin Hall started on 5/15/17 and has been assigned to the Wake Chapel Christian Church to work with Todd and Philip. Johnny Mitchell will be starting start on 6/1/17 and will be assigned to The Station project to work with Cory, Mychal, Claire and Matt. All our Project Managers and Superintendent are encouraged to coordinate with the appropriate teams to engage our new interns when any “significant work” is scheduled to take place on their projects. We hope our interns experience a variety of events during their internship. Good luck to these guys and let’s keep on Building Better! 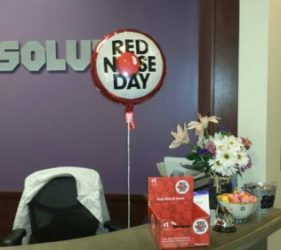 Resolute was awarded the contract in May for the NCSU Owen Hall Renovations. 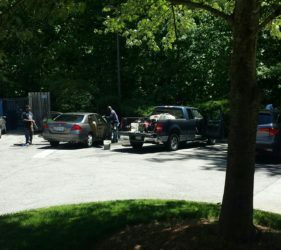 Construction began on May 15th. 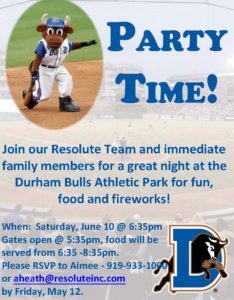 The Resolute Team and immediate family members will be gathering for a great night at the Durham Bulls Athletic Park for fun, food and fireworks Saturday, June 10th at 6:30 pm. See you there! We are pleased to announce that Mychal (pronounced Michael) Hunter joined our team on Monday, 5/8/17. He is an Assistant Superintendent with stick-build/finish experience and will join our team at The Station project in Morrisville. Welcome, Mychal! 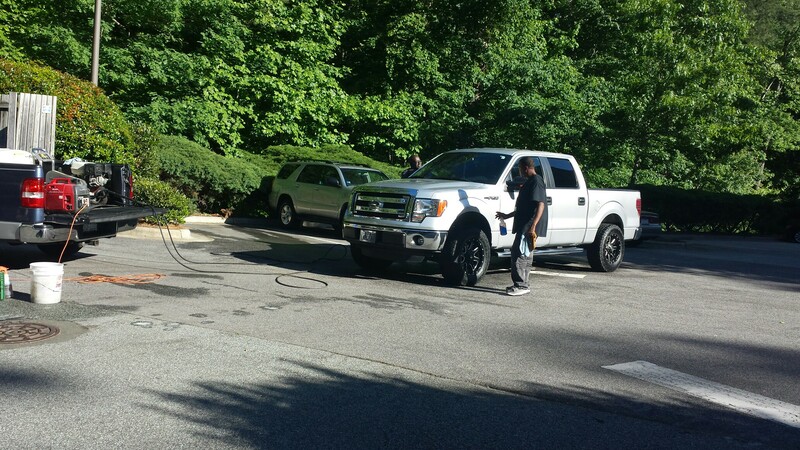 In appreciation for all they do at our company, our jobsites and our community, Resolute scheduled a detailer to come to the office to detail our employee’s vehicles. 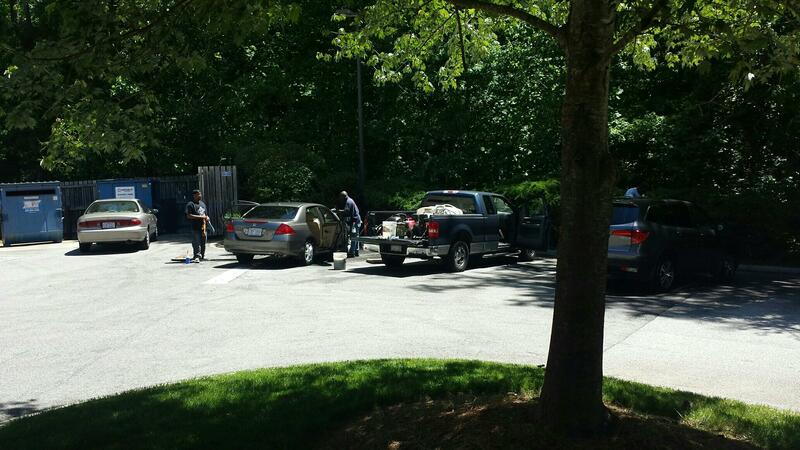 While this did not include any power washing or waxing, employees were asked to clean out their vehicle in advance to enable the detailer to provide a great job on the Interior! 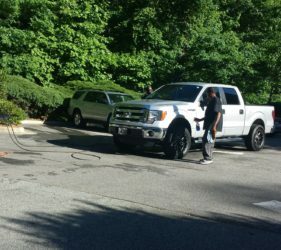 Carmon’s Car Washing Services arrived early in the morning for the office staff and returned later in the afternoon for the field staff. Thanks again and let’s keep on “Building Better”!